Its a rough world out there. What one person has, another can take or destroy. This week, for #wanafriday (I know its Saturday, but I have excuses) the question is asked: “If you could have any magical item, what would it be?” Oh my…a question for nerds everywhere to debate endlessly. Several things pop into mind right away, but then the problems with them come up just as quickly. My first thought was The Master Sword, of Legend of Zelda fame. The downside is I don't know how to use a sword. It would sit on the mantel and be useless unless Gannon smashed down my door. Also, I've got a couple friends who, I'm pretty sure, would slit my throat and steal the sword. Next up, The One Ring. Invisibility, long life, untold powers to eventually unlock and rule all the world. That's all great if you think you're a bigger badass than Gandalf. Eventually you're going to have to deal with the past owners who all have codependency issues and skin conditions. Not to mention the great big fiery eye watching you like a creepy stalker every time you try and sneak in the movies. Well, you can get invisibility without all the extra trouble with the Invisibility Cloak from Harry Potter! This one almost took the grand prize, but I've never really liked invisibility as a power. Its uses are limited if you're not a teenage prodigy trying to get out of curfew. You'd be a fantastic thief, and have a bunch of opportunities to be really creepy, but for me…I'd probably just be sneaking into movies for free. Plus, it can be stolen and probably would be by the first shady government agency to come along. What about something that can't be stolen? Just about your only option is a magic item that makes you invulnerable from that sort of chicanery. Thankfully this plays into my megalomaniacal desires. The Infinity Gauntlet from the Marvel Universe just about took my top choice. 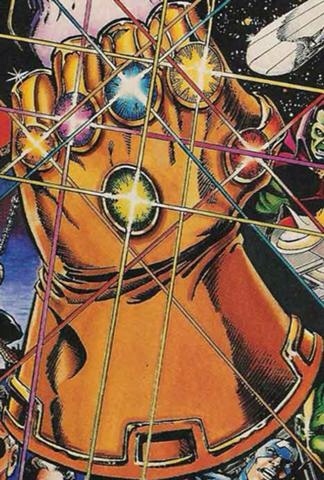 It's a gauntlet that holds the six Infinity Gems: Space, Time, Mind, Power, Soul and Reality. Possessing the Gauntlet with all the gems basically makes you a god. Unfortunately, no one's going to just let you be a god. This is the one thing on the list that everyone in the world will gang up on you and kill you for. Also, I don't want to be a god. Can you imagine the work? So, I'm still left with a puzzle. I want a Magic item that's more than just a trinket to hang on my shelf, but that I can use without getting it taken away from me or its power corrupting me. After much consideration, I've concluded there is one magic item that would be more handy than any other. Assuming a world in which my magic item is the only magic item, the perfect magic item is one that is both innocuous and handy; powerful, but subtle. Thus, my choice is Hewards Handy Haversack! What? Shut up! Its a great choice, and here's why. The haversack is a magic item that is similar to a bag of holding, from Dungeons and Dragons. Its a backpack that always weighs only five pounds and, aside from the main pouch has two side pouches. 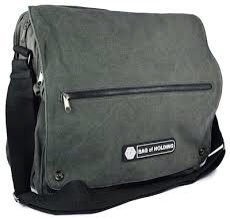 Each of the side pouches, while being small, each hold two cubic feet or twenty pounds worth of items. The main pouch holds eight cubic feet of items, or 80 pounds. Plus, the reason that its “handy” is that whatever you're looking for will be at the top of the pack when you open it. Originally I was going to go with just a bag of holding, which is awesome in its own right. But a five pound backpack that can hold 120 lbs. worth of stuff all of it at easy reach, would be perfect. And since it looks like a normal backpack, nobody suspects a thing…other than I'm obsessively organized. Since it works along the same lines as a bag of holding, all items within it are stored in an extra-dimensional space, which I would think would make it immune to various types of scanning equipment. So, not only is it super handy in its own right, but also the perfect tool for making a mint in the smuggling business! So what object would you choose and what would you do with it? Ellen Gregory What does Ellen take away from Harry Potter? Tami Clayton What do wands and pickles have to do with each other? Kim Moser Griffin A very versatile object. Siri Paulson What's beyond the portal? Liv Rancourt Very practical, and definitely magic. So glad you posted for WANAfriday. If only I could get one of these… that and a Ring of Overland Flight. That would be nice too.